Play N’ Go‘s Prosperity Palace is a 5-reel oriental extravaganza with a serene atmosphere and a striking visual appeal that purposefully details the shine and riches of Asian temples just as we like to imagine them. Set at an entrance of a gold-encrusted sacred temple, Prosperity Palace reel grid shows colorful symbols on scroll-like columns and tells a story of wealth, good fortune and the superstition of rubbing Buddha’s tummy as a lucky charm. 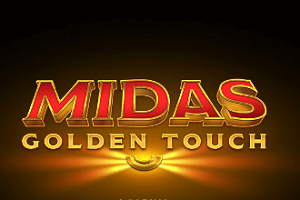 True or not, Buddha will bring you riches in this slot, that’s for sure. 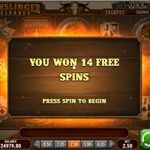 Prosperity may not be a mind-blowing slot like some made by the same provider, but it is a high-quality game that will make your time worthwhile. It the lavish surroundings of a colorful palace whose entrance is guarded by two golden lion statues, a fair number of symbols circulates. They match and create winning combination, paying out corresponding amounts, some bigger, some smaller. Lower value symbols are playing card denominations from Ace to Ten, modified to match the overall Asian style of the slot. They are also in different colors, contributing to the visual vibrancy of the interface. As for theme-related symbols, there are three of them. One shows Chinese coins, a symbolic representation of wealth and prosperity, the other two show children riding koi fishes, representing joy and happiness. Prosperity Palace benefits from two special symbols as well, a jade green dragon which acts like a Wild and a golden Buddha which acts like a Scatter, like a bonus-triggering symbol and a Wild during bonus feature. There’s really not much about Prosperity Palace that isn’t straightforward, and it seems like the developers didn’t want to come across as pretentious. 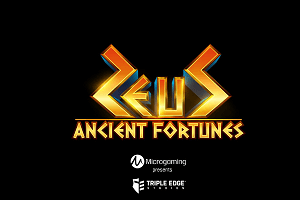 The game has a simple configuration we’re all familiar with: it benefits from 5 reels and 3 rows of symbols and pays out wins across 10 fixed lines. Any simpler than that and it may as well be a 3-reel fruit machine. Luckily, it has a charm and a modern design, so it does not give out the impression of an outdated slot in any way. Some of the settings are customizable, such as stake per spin, which you can manually increase and decrease. 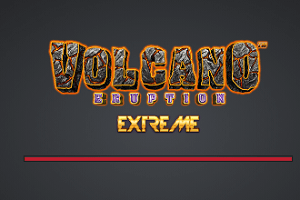 The audio button controls the lovely soundtrack and sound effects, while the Autoplay button initiates automatic spins, as many as you choose out of a range from 10 to 50 consecutive spins. 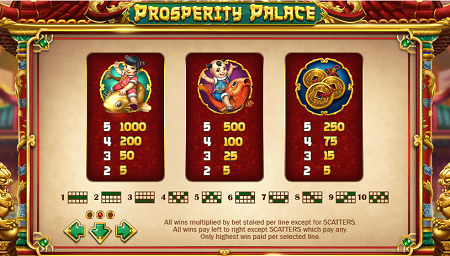 Prosperity Palace is a moderate game that doesn’t exceed in gameplay or in special features. 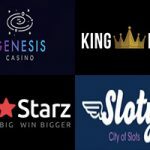 Apart from the Wild symbols that substitutes regular icons and pays out the most, the slot offers a notable free spins round that isn’t a simple free spins giveaway. It gets triggered by golden Buddha symbols that only land on reels 1, 3 and 5. 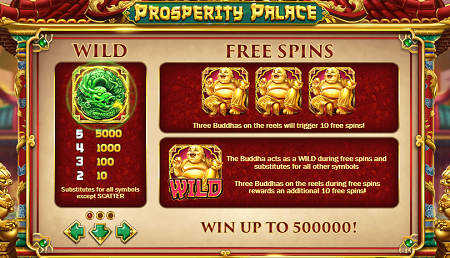 Three of them are enough for the round to start, and the lucky player will receive 10 free spins during which the Buddha symbol becomes Wild and the winning potential reaches palace roof! 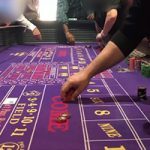 Aside from big wins you can scoop during free spins, the round can be re-triggered and you can end up spinning the reels 20 times in total free of charge. 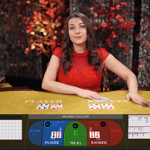 Prosperity Palace also offers a Gamble feature, where you get to guess the color or the suit of the card and double, quadruple, or lose your won amount. Peace, quiet and no drama, that’s what Prosperity Palace is all about. 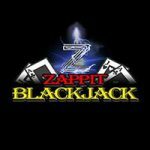 The game’s variance fits into the whole picture, since you can expect low volatility payouts – small, but regular, just to keep the flow going. 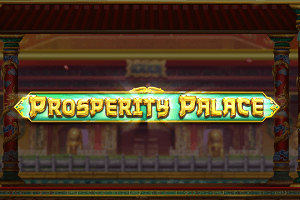 The Wild green dragon pays out 5,000 coins for five on a win line, but the most you can expect from Prosperity Palace is a jackpot of 2,500,000 coins! 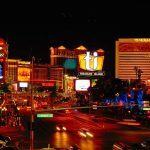 Theoretically, the return rate is around 96.7% and the betting range is accommodating for small-time gamblers and big shots. 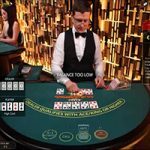 Play’n GO may be a long-standing company on the online gambling market, but it’s also one that looks forward and improves its software in any way possible. 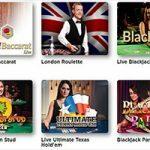 Prosperity Palace is a slot you can take with you and play wherever and whenever you like, because it is mobile compatible and works seamlessly on screens of your smartphones or tablets. Regardless of the brand of your handset, this Play’n GO’s gem will work like magic and make your daily routine a lot more pleasant. Sometimes less is more, and with Prosperity Palace the developers from Play’n GO seem to have taken that exact approach. They’ve spared on the special features and tried not to make the game overwhelming, but they’ve also managed to establish a balance of some sort with rich graphics and vibrant symbolism. 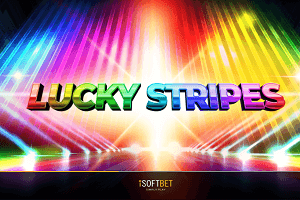 The music score makes every spin a delight and the jackpot potential of the slot is not to be overlooked. 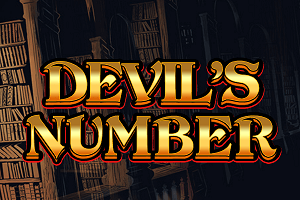 It is a low variance game, though, so don’t expect huge wins to come along after a few dozens of spins. Be patient and enjoy exploring the Prosperity Palace. 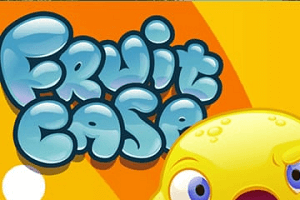 Play Prosperity Palace slot at Rizk Casino!